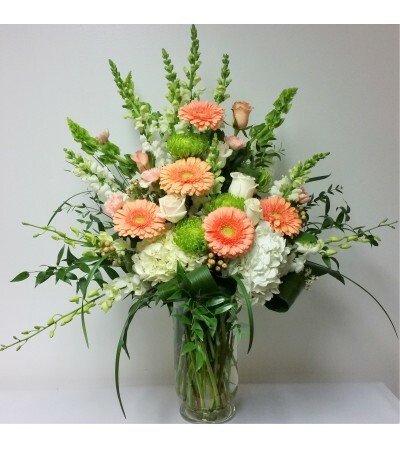 In coordination with "Soft Peach Remembrance" this stunning vase also includes the peach and white tones. 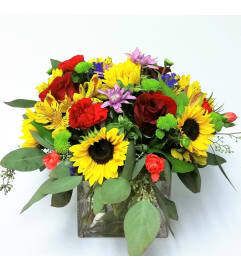 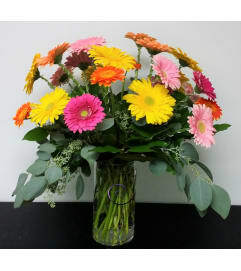 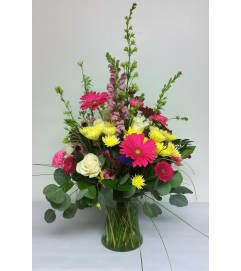 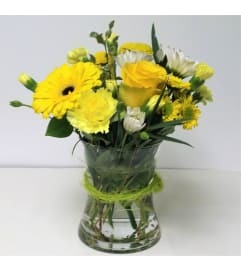 This is a larger vase arrangement gerberas, roses, hydrangeas, carnations and greens, this arrangement is sure to show your love and appreciation. Deluxe includes orchids.